Provide comfort for the family of Julia Scott with a meaningful gesture of sympathy. Julia Lee Scott passed away on Monday, February 4, 2019, at Chapel Ridge in Fort Smith, Arkansas, at the age of 85. Born on July 16, 1933, she was the daughter of the late George and Ida P. Jones, of Dermott. She attended the University of Arkansas in Fayetteville and ultimately received her degree from UAM in Monticello. She was a long-term member of the Dermott United Methodist Church, the Dermott Chamber of Commerce, the Current Topics Club, and several Bridge clubs. Julia was selected as Dermott Woman of the Year for her volunteerism to the city. She loved traveling and fishing with her family, and especially her husband, Don. She was well-known for her love of animals, as well as her compassion, helpfulness, and generosity. Julia is survived by her daughter and son-in-law, Dorinda Scott and Marshall May of Austin, Texas; her son and daughter-in-law Miller Scott and Lena of Alma, Arkansas; her granddaughter, Lindsay Scott; cousins Bob and Helen Paul of Alexandria, Louisiana and Lucy-Ann Fugler of California; and many lifelong friends in and around Dermott. Besides her parents, Julia was preceded in death by her devoted husband of 54 years, Don Clair Scott of Dermott. A memorial service will be held on Saturday, February 9, at 11:00am at Dermott United Methodist Church. Preceding the service will be a visitation, beginning at 10:00am. The family wants to thank the caregivers of Hope’s Creek in Van Buren and Chapel Ridge in Fort Smith, as well as the community of Dermott for all the many loving years they spent being her friend. 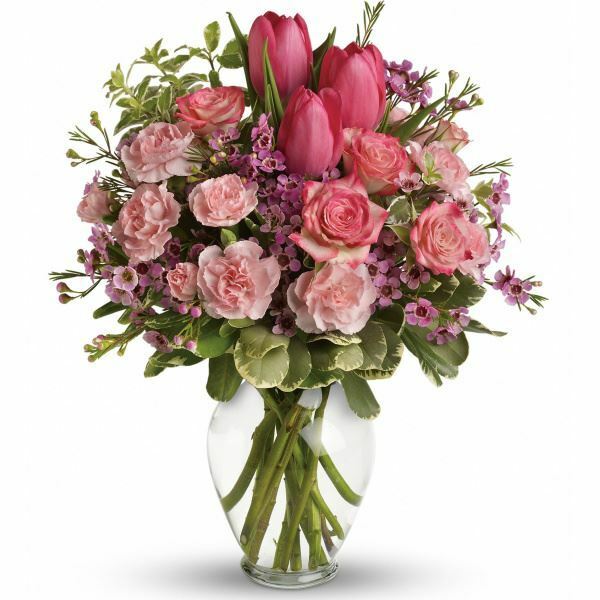 To send flowers in memory of Julia Lee Scott, please visit our Heartfelt Sympathies Store. We encourage you to share your most beloved memories of Julia here, so that the family and other loved ones can always see it. You can upload cherished photographs, or share your favorite stories, and can even comment on those shared by others. Danya, Tyler, Brock, Holly and Paul, Justin & Brittany Hall, and others have sent flowers to the family of Julia Lee Scott. Dorinda and Miller, I am so sorry for your loss. Some of my memories were your Mother was soft spoken, showed kindness to everyone and always had the sweetest smile. (I had never seen a flying squirrel for a pet!) Treasure and cling to the memories! With heartfelt condolences, our thoughts and prayers are with you. Danya, Tyler, Brock, Holly and Paul purchased flowers for the family of Julia Scott.